This week we have been attempting to add new elements at the Children's Museum to make things more exciting. Amongst those things we have an underwater camera that the kids love using to see what is in the water they're fishing in. It helps because sometimes they don't believe us when we say there are fish in there and that they just have to be patient while fishing for them. 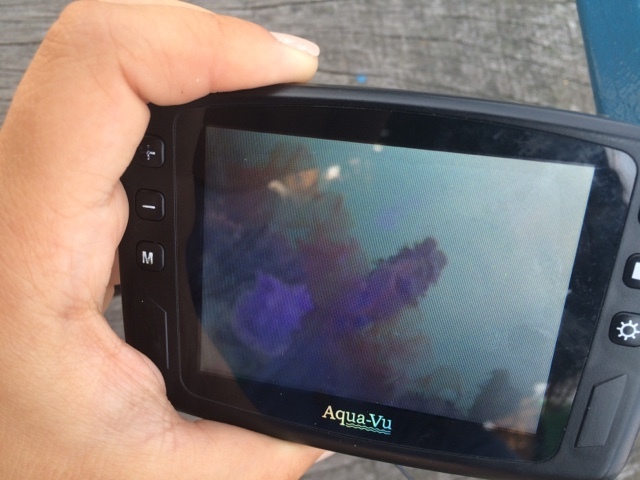 We also learned that we had the night vision setting on and that made coral appear purple even though it was orange. We hadn't come across a rare exotic plant. The second thing we added are the crab races. 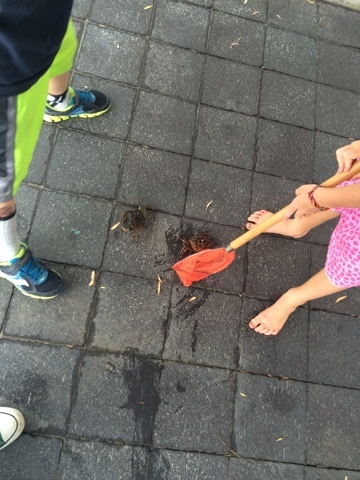 We got the idea from a fellow Save the harbor/ Save the bay member and the kids seemed to love the idea! It gave a chance to the kids who are too afraid to touch or hold the crabs to feel like they're engaging with the crab.